Aciter is an independent Swiss Inspection Company with head office in Geneva, Switzerland. Since 2015 ACITER is running under a new management, heading the ACITER INSPECTION GROUP which was established in 2001 to provide worldwide inspections services mainly for agri-commodities. ACITER INSPECTION GROUP is a network of inspection operations and dedicated laboratories offering a complete range of inspection, verification, monitoring, supervision, certification and testing services for agri-commodities. 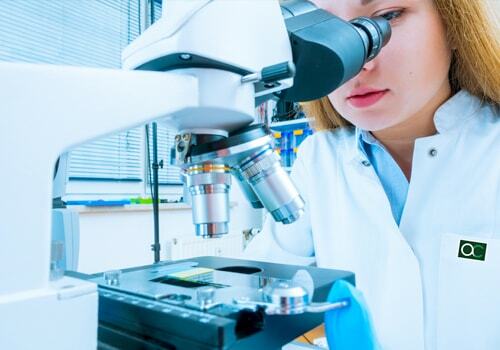 As part of our Laboratory Testing Services, we are able to provide: technical, physical-chemical, microbiological and PCR testing of samples against any contractual or international, European, American or Asian standards. In addition to inspection and laboratory services, both at loading and inland, ACITER can offer other services such as Stock Monitoring (SMA) and Collateral Management (CMA), warehouse inspections, containers inspections, etc. By using a network of selected agents, working according to the ACITER’s standard of quality, we can perform inspections in many other countries worldwide. Our own certified network of laboratories and its highly qualified staff can perform almost any requested analysis. On request we can offer dedicated mobile laboratories in order to bring analysis closest to origin / collecting point. Our permanent in-house training program for laboratory employees and regular participation of our specialists to various international conferences is the guarantee of quality in analysis. © 2002 - 2019 Aciter - All rights reserved.